If you have never tried hammock camping, you are missing out. No tossing and turning, no pointy rock in your back, no sliding downhill as you sleep. Still skeptical? 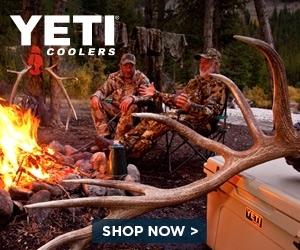 Well, for less than $40 you can give it a try with one of the coolest hammocks on the market. The Byer® Moskito Traveller Hammock is 16 ounces of camping comfort. The hammock is made from extremely light and durable parachute nylon, much like many of the ultra light hammocks available. 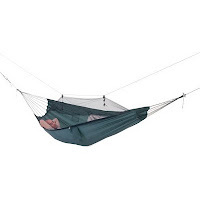 Where the Byer® Moskito Traveller Hammock sets itself apart is with it's integrated bug netting. Sewn into the perimeter of the hammock base and suspended by shock cords, the no-see-um netting provides a bug free oasis. If the bugs are not an issue, flip the hammock over for traditional use. Comparable "bug-free" solutions from competitive hammock companies run upwards of $45 in addition to whatever you already spent on their hammock. For the money, this is the best deal around. The whole package folds into the attached storage bag (4" x 8") which doubles as a handy pouch for personal items while in use.